With over ten thousand feet of sophisticated space on two levels, this grand, just-finished Encino estate is designed for entertaining. 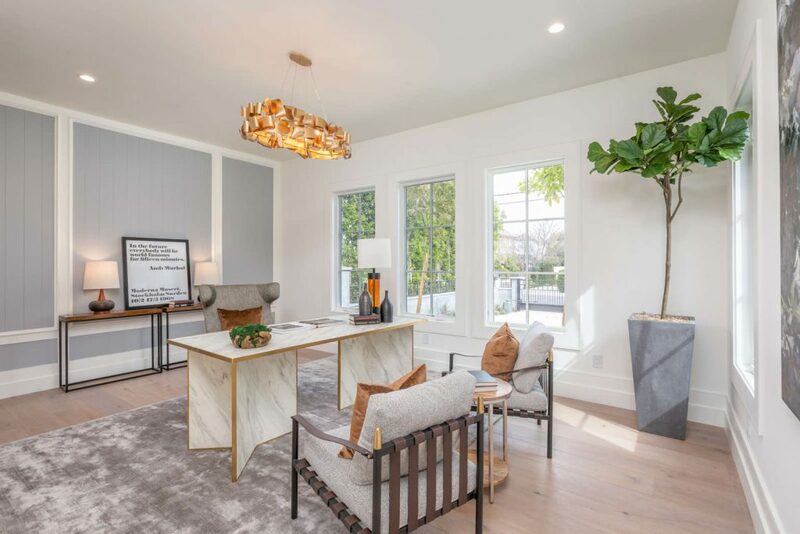 Set on a huge half-acre lot south of the Boulevard at 4519 Haskell Avenue, the home is lavished with exquisite designer touches, finishes and fixtures throughout. The welcome begins off the circular drive in the open foyer with its soaring cathedral ceiling, then then moves seamlessly through expansive, light-filled living spaces that open to the outdoor setting. There, a broad patio area encompasses a swimmer’s pool/spa, dining and relaxing areas, a shaded pergola and an outdoor kitchen. A fully equipped two-story guest house is nearby. The home’s main level is equipped for intimate to large scale gatherings, with sumptuous home theater, climate-controlled glass-enclosed wine storage and tasting room, and inviting dining room. The formal living area with fireplace and dramatic vaulted ceiling opens fully to the patio, blending the spaces. In the expansive chef’s kitchen, dual counters, high-end appliances, custom cabinetry, a breakfast nook, a family room and a bar create a vibrant place to come together. When it’s time to escape and recharge, the master suite offers an expansive private world with its own access to the patio and yard. A dramatic fireplace, sitting area, lavish bath and extensive walk-in closets create the opulent ambience. The upstairs level is home to a kids’ game space, three huge bedroom suites and a second laundry room. 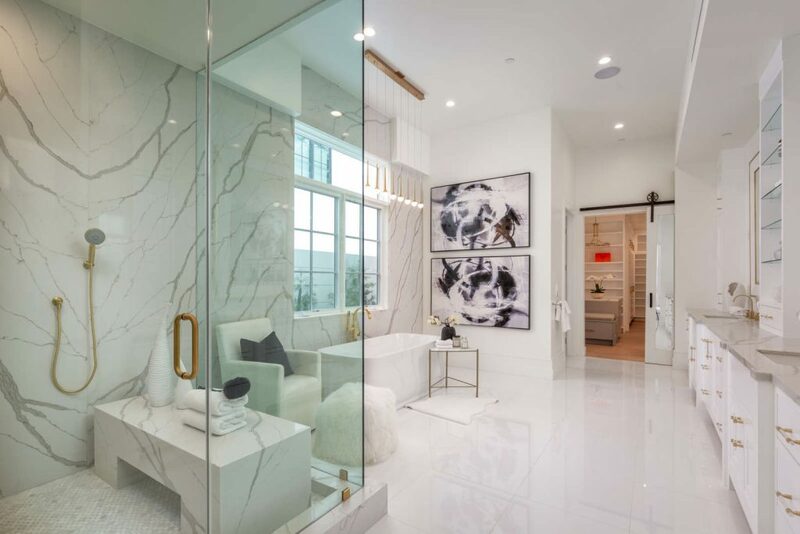 This incomparable residence is listed at $7,395,000 by Angelo Fierro and Aaron Kirman.